With more than 123 million fans/followers on Facebook and Twitter, WWE ranks among the sports world’s digital leaders. Wrestlemania XXVIII alone generated 110 worldwide trends over the show's five-hour period and the hashtag #Wrestlemania was mentioned more than 610,000 times on the day of the event. Learn how WWE’s integrated marketing and content strategy is driving bone crushing levels of engagement by connecting Superstars directly with their fans - delivering exclusive content, stunning face-offs and real-time experiences that dominate social television. John Cena, whether he knew it or not at the time, started grooming himself for a career in sports entertainment at the age of four when he made his first championship belt out of computer paper in his West Newbury, MA home. Cena's WWE debut in June 2002 was an accomplishment that he had dreamed about for more than 20 years. Today, Cena combines his athleticism, charisma, strong work ethic and genuine personality to make him one of the brightest stars in WWE and its hit cable program, Monday Night RAW on the USA Network. Since joining WWE, Cena’s personality and charisma have led to starring roles in Hollywood. His first theatrical film was the action-thriller The Marine from 20th Century Fox and WWE Studios. He has also starred in the action-thrillers 12 Rounds, which was directed by Renny Harlin and The Reunion. In 2010, Cena showed his range as an actor in the family drama, Legendary, alongside Patricia Clarkson and Danny Glover. Cena has a terrific sense of humor, so it was natural for him to be cast as the father in Nickelodeon’s teen comedy trilogy Fred: The Movie. Cena devotes much of his time working on behalf of numerous charitable causes including the Make-A-Wish Foundation and Susan G. Komen for the Cure. Recently, Cena set a Make-A-Wish record granting his 300th wish to Hop Bottom, Pa. native Jonathan Littman. Seven-year-old Littman joined Cena on Good Morning America with ABC News’ weather editor Sam Champion during the weather report. In addition, Cena’s work with Make-A-Wish is widely recognized as he is the only celebrity to reach the 300th wish milestone. Cena has also been awarded the Chris Grecius Award in 2009 – Make-A-Wish’s highest honor - and was the main reason Make-A-Wish named a conference room at the foundation’s world headquarters after WWE for its support of kids. He wrote a piece for USA Weekend on the Power of Wishes and his tireless work with Make-A-Wish has been featured on NBC’s The Today Show, ABC’s Good Morning America and CBS’ The Talk. In September 2012, Cena led WWE’s partnership with Susan G. Komen for the Cure during its month-long campaign to help cure breast cancer. Cena wore special co-branded, pink and black ring gear through October in honor of Breast Cancer Awareness Month and fans were able to purchase the merchandise, including hats, t-shirts, headbands and wristbands, at live events and online. WWE donated 100 percent of its profits to Susan G. Komen for the Cure, helping raise $1 million for breast cancer research and awareness. Cena has been featured in People Magazine as well as in USA Today, Men’s Fitness and Flex. He has appeared on Good Morning America, Saturday Night Live, The Tonight Show, Live! with Kelly and Michael, Late Night with Jimmy Fallon, Late Night with Conan O’Brien, Jimmy Kimmel Live!, American Idol: Idol Gives Back, The Chew, E! News, Entertainment Tonight, Access Hollywood, Nickelodeon’s Kid’s Choice Awards and the Teen Choice Awards. John Cena has proven himself to be a powerful marketing force. Recently, WWE and Post signed a partnership to produce 8 million boxes of Pebbles cereal featuring Cena. He has appeared in advertising and marketing campaigns for Gillette, Mattel, Subway, 7-Eleven and Burger King. Cena is also a powerhouse on social media as the seventh most followed athlete in the world, third in the U.S. behind Michael Jordan and LeBron James, with more than 17 million followers on Facebook and Twitter combined. Before embarking on his WWE career, Cena attended Springfield College in Massachusetts, obtaining a degree in exercise physiology. He was an offensive lineman for the school's Division III football team, earning All-American honors as a senior. Cena is also an avid car enthusiast. He has been involved with marquee events such as SEMA, Barrett Jackson, and was the official starter for the 2012 Daytona 500. Khris has a Bachelor of Science degree with a double major in Economics and Finance, and a minor in Computer Science, from Mount Saint Mary's College in Maryland. Perkins Miller is the Executive Vice President for Global Digital Media for WWE, the world’s largest independent sports entertainment company. 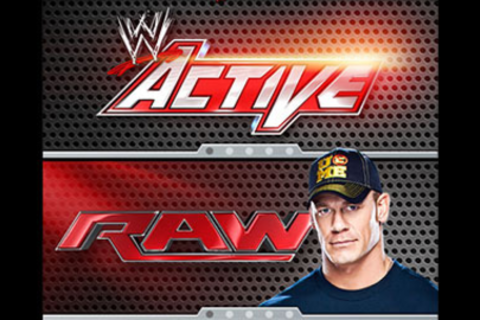 WWE produces 9 hours of live TV programming every week, distributing in 28 languages and 142 countries. Social media reach is among the largest of any corporations -- 131 million social fans across all major platforms. Perkins oversees the global digital P&L and overall digital operations, including mobile, web, gaming, production, business development as well as content distribution and sales. Perkins oversees strategic growth initiatives as well, including creating the first-ever global pay-per-view of the last Rolling Stones concert of 2012. Additionally, Perkins oversees all digital partnerships with all major content distributors, including NBCUniversal, YouTube, Hulu, Sony, Xbox and Apple. Prior to joining WWE, Perkins was Chief Operating Officer and founding member of Vocativ, a new media start up, set to launch in late 2012. This company, which is based in New York, will apply smart technology to verify information and sources around the world in real-time, leveraging crowd-source and social-source news like never before. Prior to helping found this company, Miller was the Chief Operating Officer for Universal Sports Network, overseeing all operational aspects of the business, including sales, marketing, business development, production, and digital media. Universal Sports is a partnership between NBC Sports and InterMedia Partners, LP, and is the premier multi-platform media destination for Olympic-related sports programming in the United States. Miller helped the service grow from only 1.5 million households to being available to more than 60 million in 52 markets nationwide, including all of the nation’s top 10 media markets and 20 of the top 25. In 2011, Miller helped secure a launch deal with DirecTV, oversaw the first-ever national broadcast of the Rugby World Cup, and re-launched the digital business, with triple-digit increases in its paid subscription revenue. Miller also continued to advise NBC on its digital strategy for all its Olympics efforts. Miller has overseen NBC’s largest digital events, including the 2010 and 2008 Olympic Games, which spanned online, mobile, iTV, VOD, EST, and gaming. The combined events drew more than 100 million unique visitors, more than 2 billion page views, and more than 115 million videos streamed -- making them the largest digital events in history. Miller establish first-ever partnerships with Twitter and Facebook, creating the first large-scale sports-oriented social events. Miller also led the successful, first-ever network Internet stream of an NFL football game, dubbed Sunday Night Football Extra, as well as NBC’s online digital event around the 2009 Super Bowl, which featured a partnership with Hulu.com. Miller has received several Emmy Awards, including an Emmy Award for NBCOlympics.com coverage of the 2008 Games, and in 2008, Miller was named #3 among Sports Business Journal’s Top 20 “Most Influential In Digital Sports.” Miller also led NBC’s investment in Universal Sports. Miller’s business background is complemented by his work as Senior Vice President, Business Group, for Intrawest Colorado. He oversaw business operations for two world-class mountain resorts (Winter Park and Copper Mountain, with more than 2.5 million visitors a year), a retail operation called Intrawest Retail Group (40+ stores in five states), and several Starbucks stores. As a member of the senior leadership team, Miller oversaw all revenue generation for the various businesses, including sales and marketing for retail, conference, lodging operations and lift ticket sales. Miller also ran several businesses for the 2002 Olympic Winter Games, including Internet Operations, publications, video production, translation services, and archives. He created the first-ever strategic media partnership between NBC and an Olympic Organizing Committee, bringing together Olympics.com and NBCOlympics.com. Miller was also Vice President and Managing Director, for Time Warner’s Mountain Sports Media, where he oversaw the Warren Miller Entertainment feature-film and TV production group. In addition, Miller has been the editor-in-chief of Skiing, Mountain Sports & Living, and Snow Country magazines. Miller’s turnaround of Skiing Magazine earned it its first-ever National Magazine Award nomination for General Excellence. Miller lives with his family in Wilton, Connecticut. Miller has served on several boards, including Freeplay Music and Inlet Technologies, and he graduated with honors from Middlebury College. Stephanie McMahon is the Executive Vice President, Creative. She is responsible for overseeing the creative development of all WWE television, pay-per-view programming, print, digital and social media content. Stephanie began her career with WWE in 1998 as an Account Executive for the WWE sales office in New York City, while also developing her television personality on WWE programming. Stephanie's career growth and development spans over multiple business areas including directing and producing some of WWE's televised events. She has also managed WWE's Live Events business, Talent Relations and Talent Brand Management. Stephanie is a member of the Board of Directors for both the USO Metropolitan Washington and the social media company, Tout, Inc. She is also the primary spokesperson for WWE’s anti-bullying initiative, Be a STAR. Stephanie has received Fairfield County Business Journal's 2010 "40 Under 40" award and was recognized as one of the "Most Powerful Women in Cable" by CableFAX magazine in 2009, 2011 and 2012. She was also named one of Multichannel News’s Women to Watch for 2013.